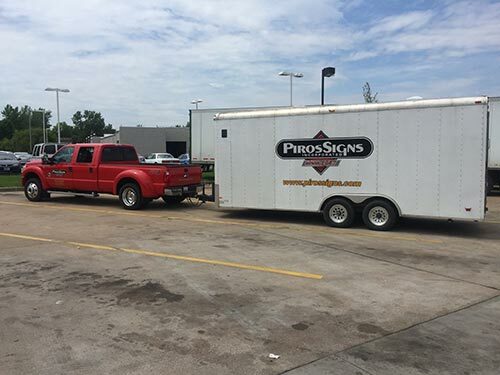 We are teaming up again with long time partner, Daktronics, in a new project that just recently kicked off. 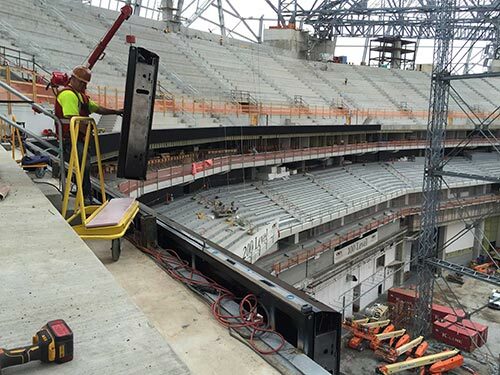 The 360 degree video board located in the roof opening is the first of its kind – a true game changer. 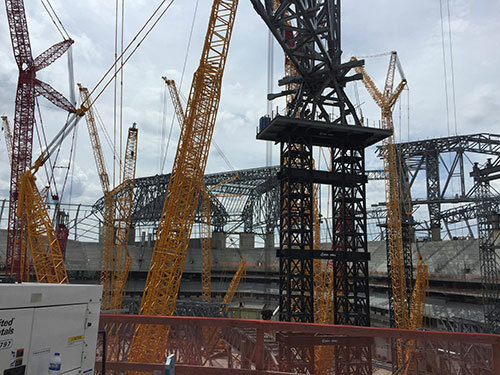 At nearly five-stories (58 ft.) tall and eleven hundred linear feet in diameter, the new stadium’s 360-degree HD video halo board will not only be the largest video board in the NFL, but in the world. 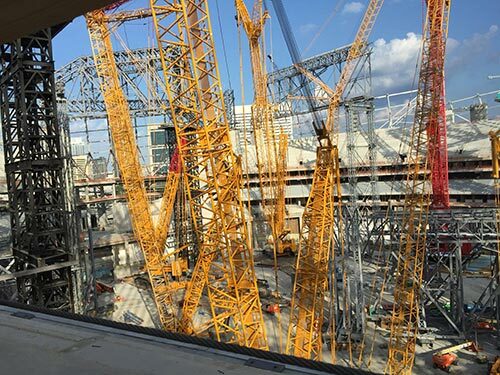 Every seat holder experiencing a game or stadium event live will enjoy unique camera views and exclusive digital content that promises to enhance the in-seat experience on event days. The board hangs from the circumference of the roof opening, allowing use with the roof open or closed. Check out this video and as well as a few pictures of the construction process.